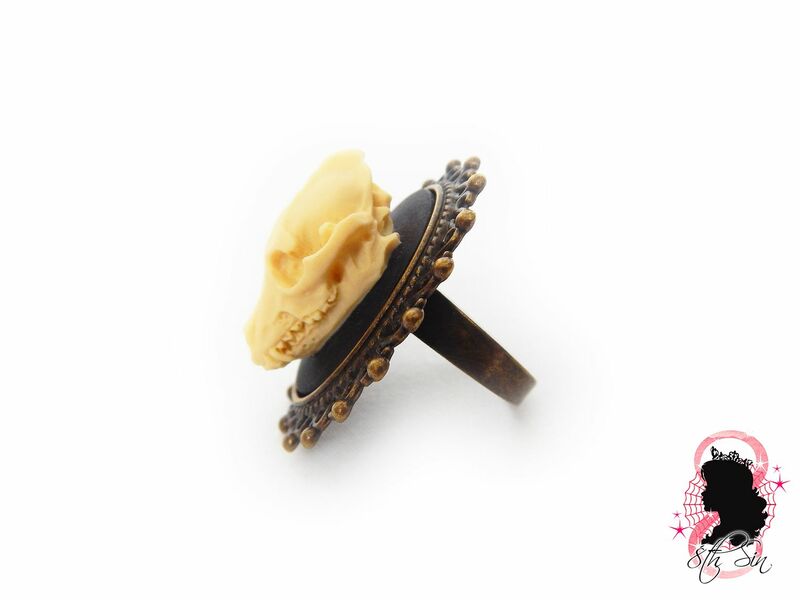 This is an antique bronze ring featuring a black and ivory wolf skull cameo. 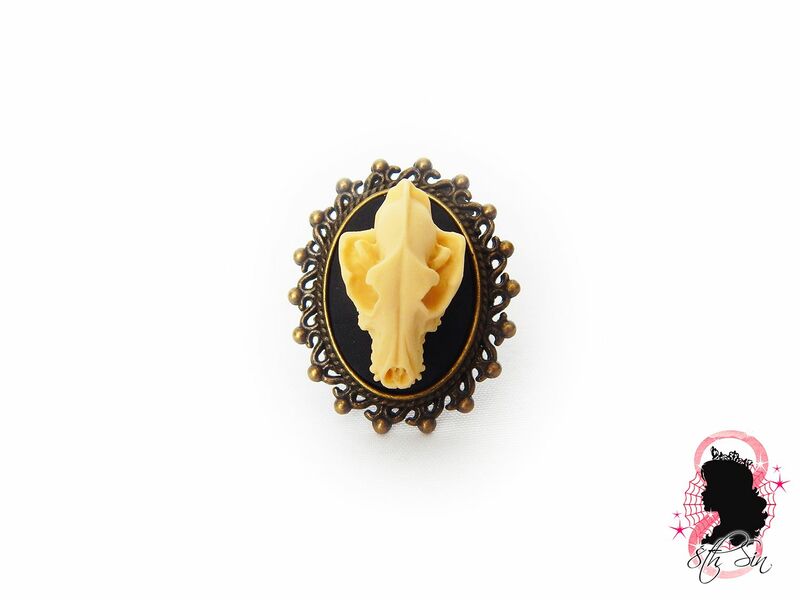 This wolf skull ring comes in a black ring box, ready for presentation. This ring is in limited supply so make sure to grab it whilst it is available. 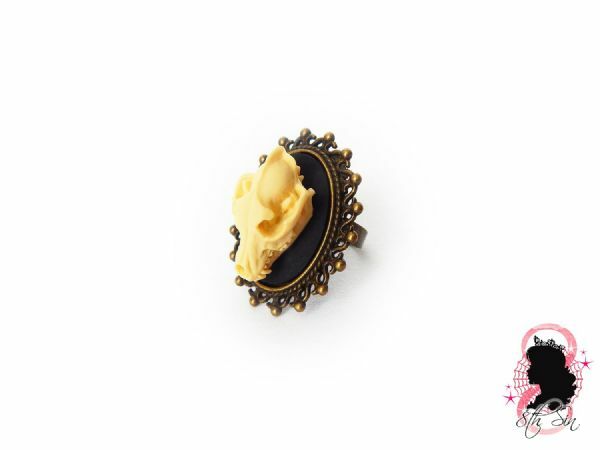 Made with alloy based findings and 3D detailed resin cameo made in the Netherlands. The ring is adjustable to any size and the band can be gently pulled apart and squeezed together to change the size. Cameo size is 18mm x 25mm not including the frame. 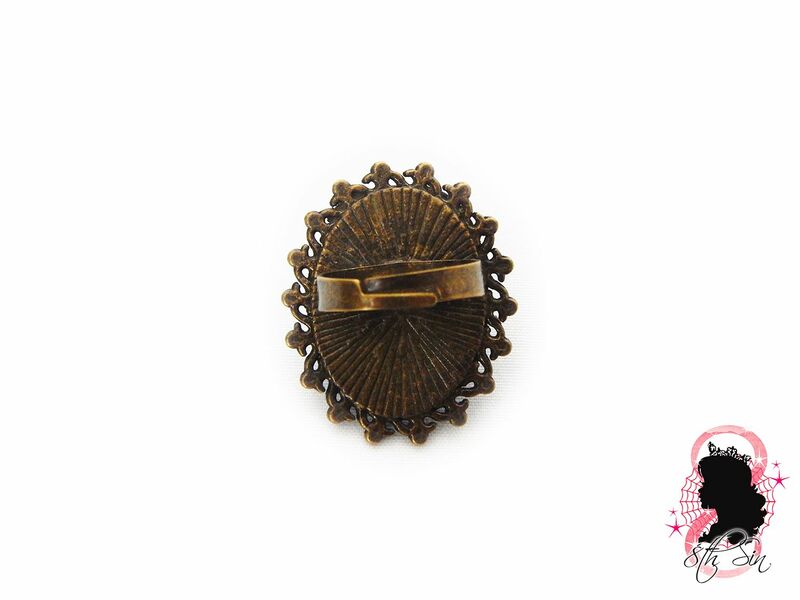 Including the frame, the ring measures approx. 38mm/1.5" in length.